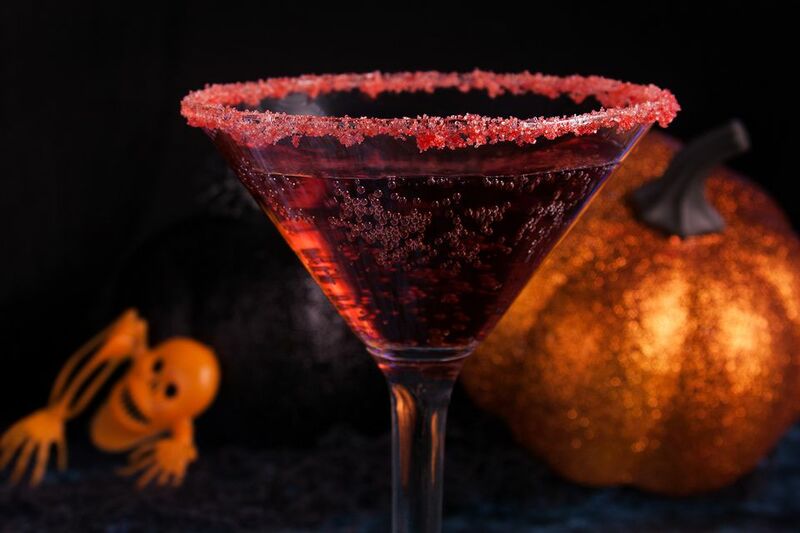 Take a French Martini, cross it with a Vampire, ditch the juice, and add a splash of bubbly and you've given birth to a Vampire Kiss Martini. The taste of the drink itself is anything but scary, thought—it's actually quite elegant and something that would work not only for Halloween but for Valentine's Day or any Champagne-worthy occasion. For its intended holiday, it's perfect because the Chambord gives it a dark, almost black color.